Replacement SIM and being cut off early – bad practice? Posted by Andrew Whyman under Rants, on 14 February 2012 @ 10:18pm. I started having signal issues a few weeks ago where my Optimus 2X would randomly lose signal in a seemingly good signal area. It wouldn’t get it back until I either rebooted the phone or I set airplane mode on and then off again. Obviously this is a real pain and shouldn’t need to be done. After a little bit of investigation work I determined it wasn’t likely to be the phone itself. It’s either a SIM card issue or a software issue (more likely since I run a custom ROM on it). The easiest thing would be to order a new SIM card to I went ahead and did this through O2’s live chat. That went smooth as you could ever imagine so no complaints there. And kudos to O2 for offering such a service, it saves time and money. Anyway the rep I spoke to assured me everything was automatic for the switch over, which I was happy about. I was told it would arrive in a few days. On Sunday I got a message saying I’d get it on Monday. Great! Fast service! Come Sunday evening I was browsing Facebook just before I went to bed and suddenly I noticed the phone had no signal again. 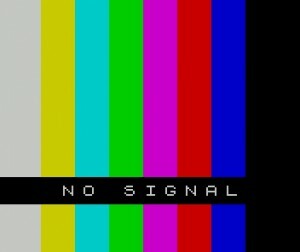 Great, so I rebooted but the signal didn’t come back. I tried a second time with the same result. Thinking nothing of it I put it into my old Sony Ericsson which reported “SIM INACTIVE”. What the hell? So here I am wondering why this has happened, it turns out that O2 have turned off my current SIM in anticipation of the new arrival the next day. Well done O2, you’ve now cut me off for the next 18 hours. How? Let me explain. I work a 9-5 job like most others, and as everyone knows post doesn’t magically arrive at 7am in the morning so there was no chance I was going to have my new SIM until the evening of the next day. This makes no sense because it means I’m without a phone for 18 hours. Now what they should have done is activated the new SIM the next evening and told me to put it in on Tuesday morning. That would have made more sense and would have prevented daytime disconnection. I have sent O2 an e-mail regarding their replacement SIM activation process but I’ve not heard back from them yet (not surprising, they’ll probably take a few days). I’ve suggested the above to them for their activation process for replacement SIM’s, so I hope they take it. Had I been a business customer I could have potentially lost a full days business. Even being a regular consumer I could have missed important phone calls. What if I needed to get in contact with someone or them contact me? I was completely out of reach for the whole time. Had O2 told me this would be the case I would have been OK with it, but the fact I was not told and it happened out of the blue is what annoyed me most. Anyway what’s done is done, and I’ve made the complaint to O2. Lets hope they follow it. And let this be a lesson to anyone who is thinking of a replacement SIM following similar issues, make sure you confirm with them what the procedure it. It will probably vary between providers. Posted by Andrew Whyman under Life, on 6 February 2012 @ 4:13pm. If you do, check out this pepperoni pizza website. It has facts and history of pizza, and makes an interesting read. I’m going to make a pepperoni pizza from scratch one day as it seems like a nice idea. I wonder if it will be any cheaper than buying one? Initial thoughts say not but from the results I’ve seen the look far more appetising!